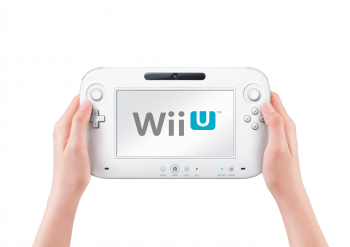 The World Intellectual Property Organization has ruled that wiiu.com will stay with its current owner. Nintendo has lost a cybersquatting complaint filed with the World Intellectual Property Organization against the current owner of "wiiu.com." Now, if Nintendo wants the domain name, they will have to negotiate a price (and we're talking millions of dollars here) with its owner directly. Nintendo filled the complaint back in February, at which time an auction for the domain name was subsequently cancelled. "Cybersquatting" is the act of purchasing a domain name of an intellectual property and "sitting" on it, with the intent of selling it back to the IP owner at an inflated price. Cybersquatting is actually against the Anticybersquatting Consumer Protection Act in the United States, and there have been several high profile cases where squatters have had to relinquish their domain names to the IP holders without getting their big pay day. PETA.com and whitehouse.com both secured their domain names through WIPO complaints, and even Nintendo secured rights to the supermario.com in 2011 via the organization. So why did Nintendo lose this time, especially considering that wiiu.com should be every bit a Nintendo property as supermario.com? Well, it turns out wiiu.com was first registered back in 2004, when Nintendo hadn't even announced the original Wii yet. So how did the register know? Time travel? Leaked info from insiders? The answer is a lot less sinister. Back in the early boon of the internet, people rushed to purchase all of the four-letter domain names simply because they were short, it didn't matter that the letters didn't actually mean anything. The popular webcomic XKCD gets its name for this very reason. So what we have is a case of one very, lucky individual who managed to randomly register the letters "WIIU" as a website, back before Nintendo actually announced the name, managing to slip past anticybersquatting laws and is probably in for the biggest payday of his life.